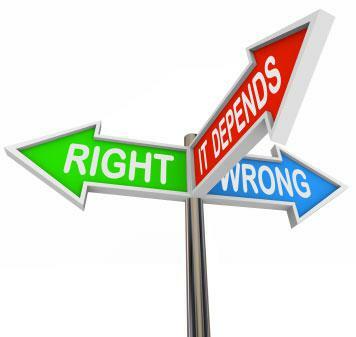 Recent tragic events in Boston, and then news that the people apparently responsible for those events seem to have been influenced by some form of radical Islam, have renewed a number of on-going debates in American life. Some would like to use what happened as an argument against immigration, since the Tsarnaev brothers were not born here — though their exposure to radical Islam likely took place here. Others would like to use what happened to once again attempt to paint Islam as an inherently violent religious tradition, ignoring the fact that the radicalism seemingly displayed by the Tsarnaev’s is not the norm for many millions of Muslims all over the world. And still others have taken this opportunity to suggest that the apparent fact that religion was either a motivating or catalyzing force in the recent violence in Boston is another proof that religion in general is an ill wind in the world, and that if we could only get ourselves free of religion, much of the world’s violence would suddenly vanish. There is certainly no denying that religion has been used as a tool in the hands of those who have done violence in the world throughout human history. The question, for me, is whether religion is more than a tool in that violence, becoming somehow the cause of it. I will not claim to have done any rigorous research and analysis regarding this question, but I do think that most of what seems to be religious-motivated violence in the world is, in fact, violence rooted in motives that have nothing to do with religion. But, religion becomes a tool for framing and channeling these motives — a way, if you will, for justifying the motives in a way that makes it possible for someone to act on those motives violently. If we look, for example, at the historic conflict in Northern Ireland, I think we see religion acting as more of a tool than a motivation. It so happens that those who want to retain English rule in Northern Ireland also happen to to be Protestant, while those who want the territory to become a part of Northern Ireland happen to be Catholic. There is nothing within either religion that would lead these groups of people to feel one way or the other about whether Northern Ireland is a part of Great Britain. The violent conflict over that question was motivated not by religion but by political and nationalistic concerns that have little if anything to do with religion. However, religion became a convenient tool for both sides in the conflict. The Protestant-Catholic distinction was convenient, as religious affiliation was a clear marker of which side a person was on. Sadly, Protestant and Catholic religious leaders for the most part were willing to use their religious authority for the causes they believed in, allowing each side in the conflict to somehow feel that there was a divine sanction for both their points of view and their violent acts. The conflict in Northern Ireland was not a religious war, but religion was a powerful tool used by both sides in the conflict — a conflict that was rooted not in religion, but in other concerns. While it is rather premature to attempt much analysis of what happened in Boston, it does seem that the older Tsarnaev brother — who seems to have been the instigator of all of this — felt disconnected from the society in which he was living. While his younger brother took the path to US citizenship and, by all accounts, had American friends and felt comfortable in American society, his older brother is quoted as having said that he had no American friends, and that he didn’t understand America. I would venture to say that he was a young man who felt alienated, lost, unable or unwilling to connect with the people among whom he was living for reasons that are not entirely clear at this point. It seems that into this alienated, disconnected life came someone who was committed to a radical form of Islam, and that this person offered a life that was free of alienation and that was connected, albeit with people and ideas that were very dangerous. It seems very possible that the older brother found, through this unfortunate apostle of a twisted brand of Islam, a meaning and direction in his life that he lacked. And in this way, religion became a tool that directed this young man toward a vision of anger, hatred, and ultimately violence. I suspect that his crimes did not really have a religious reason behind them. Rather, he was a lost, confused, and angry person, and, sadly, religion became a tool to channel that negativity in a terrible direction. All of this points to the fact that religion is a powerful thing, for good or for ill. And, that there are human beings who harness the power of religion for good or for ill. And how a particular person harnesses that power of religion will depend very much on what sort of life that person has, independent of any religious affiliation. For me, this underscores the tremendous responsibility that rests with religious leaders and communities. As a Christian clergyperson, for example, I am keenly aware that within my own tradition, there are plenty of biblical texts that present God as both responding violently against some perceived evil or sin and as sanctioning or demanding that human beings act violently against some perceived evil. When these texts are handled carelessly, they can become powerful tools to justify violent behavior if they fall into the minds and hearts of people whose personal grievances have made them disposed to resorting to violence. The fact that so much of Christianity these days is dominated by a kind of literal reading of Scripture that encourages careless handling of these texts does not help matters. And many other religious traditions, including Islam, face a similar challenge. There are, however, people working in all of these traditions to understand their sacred texts in new ways, and to make it clear that a deeper investigation into the texts reveals something quite different than what first appears on a surface, casual reading. When we see religion abused in ways that produce such violent results, those of us within faith communities are reminded of how important it is for us to work toward forms of religion that transform people in positive, life-giving ways, rather than aiding their descent into madness. It is, after all, this sort of positive transformation that all the religious traditions see at their hearts. We should not allow distortions of our traditions to obscure that. We should, however, not deceive ourselves into thinking that religion, by itself, is a cause of violence. Sadly, the roots and seeds of violence lie within humanity. We are a species rather given to violence, and if religion were suddenly not be available as a tool to catalyze that violence, people disposed to violence would be catalyzed by something else. Properly understood, religion has the power to help us see those seeds of violence in our own nature, to acknowledge them for what they are, and then learn to move beyond them. And perhaps never has humanity needed that role of religion more. Our hearts were broken this week when the spectacle of the Boston Marathon, normally an opportunity to celebrate the human spirit, became a spectacle of violence as two bombs shattered the race and the lives of nearly two hundred innocent bystanders and their families – including the tragic deaths of three people, one a child. Those bombs also shattered the sense of peace and safety in one of America’s most historic cities. As authorities look for the perpetrators, the rest of us look for answers. And there are very few answers to find. Sadly, the painful struggle to find answers to a tragedy like this often becomes so intense that, lacking any real answers, people begin to make up answers that fit their own world view. So speculations about suspects and their skin color lead to assumptions that militant Muslims must be to blame – and so a Muslim doctor gets attacked in Boston today, even though she personally had nothing to do with what happened, and there is so far no evidence to suggest that any Muslim had anything to do with these events at all. And so an already heart-shattering and soul-piercing tragedy is compounded. My years of ministry as a priest has put me many times in the position of accompanying people who are driven by life’s circumstances to seek answers to difficult questions about suffering. I think that the deep human desire to make our lives meaningful – a desire that is indeed holy, and that is part and parcel of our nature as spiritual beings – leads us to conclude that there must be meaning in everything, including horrible things like violent death or sudden, tragic illness. 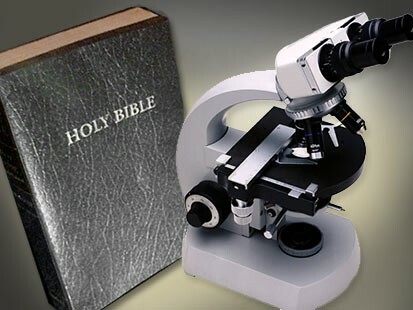 But as the biblical Book of Job seeks to tell us, it is often impossible to find meaning in such events in a way that allows us to answer the question, “Why?” But over and over, I have seen people so desperately needing to answer that question that they invent a host of answers that may satisfy them at some level, but which often create more pain for others. I have come to the conclusion that the real meaning of such events cannot come in a nice, neat, why-answering package. Rather, the real meaning surfaces out of how we, as wounded human beings, respond to these events. If, for example, we respond to this week’s tragedy in Boston by lashing out against those of whom we are suspicious in anger and pain; if we respond to this week’s events by becoming more fearful and guarded, then we have in some sense taken on the consciousness of those who planted those bombs in the first place. For reasons we do not yet know, they chose to lash out violently against innocent people. If we respond to their violence with more violence, whether verbal, spiritual, or physical, then perhaps they have gotten what they really wanted in the first place: for all of us to live in the kind of fearful, angry place that led them into their violent plan. If we do not respond to the Boston tragedy with spiritual skill, then the violence which we saw on that day can multiply into a myriad of violent thoughts, words, and actions, some of which we will see, but much of which will remain unseen to most of us. Yet it will be there, raising, if you will, the quotient of violence within our society — a society that kills more people violently than any other “first world” nation on earth, and that has the highest rate of imprisonment in the world. If our response to what happened in Boston is the multiplication of violence in all of its forms, then the meaning behind the tragedy becomes simply this: the Boston Marathon bombings are another sign of our collective descent into more and more violence. If, however, we respond with spiritual skill, then rather than having our hearts hardened by this horror, we can allow our hearts to break open, and we can respond by working harder to be compassionate with ourselves and one another. We can look at the seeds in our society that give rise to the violence inherent in our culture, and the seeds in ourselves that lead us to respond with violent words and actions toward others. If this is our response to what happened in Boston, then the meaning of that tragedy is something different: it becomes a sign of the moment we redoubled our efforts to deepen our compassion, and it becomes a reminder to us of the need to live more compassionately so that we might contribute more peace to our society. Our hearts go out to all the people who were injured and killed, and to their families. That is as it should be: a natural movement of compassion toward those who have suffered so unfairly. Let that compassion help us to expand that movement beyond that circle to include others who are caught up in violence, both as its perpetrators and victims. Let that compassion help us expand that movement to encircle the whole of the human family not only in Boston, not only in our country, but throughout the world. And let this tragedy that we have so clearly seen help us to see the tragedies that we usually do not see: like the thousands upon thousands killed by gun violence in this country each year; like the 16,000 children who die in the world every day because they don’t have enough to eat; like the 14,000 who have died in Syria; like the 160,000 who died in the Iraq War; like the 300,000 who died during the conflict in Darfur. Our culture is steeped in violence. Our world generates thousands of victims of violence and tragedy every day. Our world, our country, each one of us need more compassion. There is no time like the present to begin cultivating it. And we should not need a tragedy close to home to remind us. 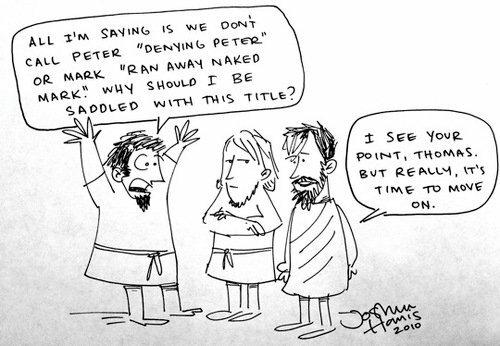 This past Sunday, in many churches, the story of “Doubting Thomas” was the reading from the gospels. In churches that follow a lectionary to determine their readings each week, this is the story that follows Easter Sunday every year. I used to feel a bit sorry for Thomas, having his life as an apostle reduced to the descriptor, “doubting”, simply because he missed a meeting of the disciples and had trouble believing what they were saying about Christ having been risen. Surely, there was more to Thomas than his doubt. But, for most people, he is and always will be “Doubting Thomas.” And I don’t think that title has ever been considered as an honorific, but rather, as an indication of a flaw in his character. There have been many occasions when I have quoted this line to people, and it has been met with varied reactions. Some people seem relieved to hear it, and find that it seems to open new possibilities to them. These, I think, are people who are in touch with their doubt, and have wanted to embrace it, but have never been given permission before to do so. Other people recoil in horror at the idea that the opposite of faith could be anything other than doubt. These folks are people who, I suspect, are not at all in touch with their own doubt – or, if they are, are so frightened of it that they are always trying to outrun it. These reactions, whether of relief or horror, are initial reactions, of course. I have sometimes wondered whether and how anyone who has heard these words has been worked on by them over time. For I have been worked on by them, and have found in them a deep truth. 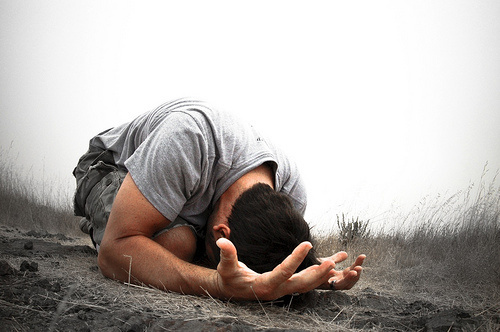 I have come to see doubt in the arena of faith not as a weakness, but as a necessity. For doubt, by its very nature, involves spaciousness. When we have doubts about the mystery of God, the mystery of the Risen Christ, our doubts create space in which to struggle and wrestle with these very mysteries. We ask questions, we wonder, we argue, we walk around the mystery poking and prodding. Our doubts open up within us a space that ultimately allows us to go deeper. Of course, this spaciousness does involve some risk, because it also creates enough space that we can walk away from the mystery, turning our backs toward it and deciding not to wrestle with it. But, unless doubt evolves into outright disbelief in the mystery itself, we will always be aware of that mystery behind us – and it is quite likely that, in the right circumstances, we will turn around and allow ourselves to be drawn to it again, to resume our wrestling, our arguing, our wondering. Faith, it seems to me, requires this sort of spaciousness. Faith, by its very nature, asks us to trust a mystery we cannot completely understand. Certainty, however, provides very little space. Rather than opening us up to possibilities, it closes off all possibilities except the possibility about which we are certain. When we arrive at the point of certainty, we no longer have a reason to argue, to explore, to walk around the mystery poking and prodding. We have made up our minds about it, we have cemented our understanding, and we then vastly reduce the amount of space that we must provide to that mystery. Having arrived at certainty, we are free to close the door and move on to other things, confident that the mystery about which we are certain is, in a sense, now a closed book. Certainty does not ask us to trust; certainty is something we know, and once we know it, that’s the end of the matter. There really isn’t any room for faith once certainty shows up. Far from being someone we should pity for his doubting ways, Thomas should be our hero. He was unwilling to close himself off by simply accepting what his friends said to him. He insisted on holding on to the spaciousness of doubt, leaving all the possibilities open to him. And within that space, Thomas must have wondered, argued, poked and prodded. Of course, before too much time passed, Thomas saw the Risen Christ face to face, and his doubt was transmuted into a kind of knowing which is possible only in the context of personal encounter and experience. We, too, shall one day encounter the mystery of God in Christ face to face. But, until we do, we should not shrink from our doubts but use them to propel us deeper into our spiritual lives, embracing the spaciousness those doubts create and keeping ourselves open to possibility, ready to encounter the Christ wherever and however he chooses to meet us. In the Gospels of Matthew, Mark, and Luke, the story is told of a rich man who comes to Jesus, asking him what he must do to inherit eternal life. Jesus responds by referencing the Jewish Law, mentioning a few of the “Ten Commandments”, as we now call them. The man responds by telling Jesus that he has kept these commandments from his youth. Mark’s Gospel says that Jesus looked at the man and “loved him”. Then Jesus said to him, ‘You lack one thing; go, sell what you own, and give the money to the poor, and you will have treasure in heaven; then come, follow me.’ (Mark 10:21). The story then says that the man went away sad, because he had many possessions. As with any Gospel story, there are a number of things we might take away from this one. But I want to point to one of my take-away’s from this story. When the man comes to Jesus with his question, Jesus’ response indicates, I think, his assumption that the man is asking the question out of what would have been the traditional religious paradigm of his time. Jesus does not question the paradigm, or even challenge it at first. Instead, Jesus answers the question according to that same paradigm. In essence, Jesus says, “You know our tradition, and that tradition has set forth a set of laws that are to be followed if you wish to be in right relationship with God.” When the man says that he has kept the tradition, Mark’s Gospel mentions that Jesus gave the man another look, and “loved him.” I don’t think it is the case that Jesus failed to love the man as a person before this. I think, rather, that Mark is saying that Jesus loved the fact that this man seemed to be unsatisfied with the traditional religious paradigm. He was a man who was faithful to his tradition, who was religious in the way in which his tradition wanted him to be, and yet he yearned for something more. Behind his statement, “I have kept all these from my youth” seems to be another question, “Is that it? Isn’t there something more?” It was at this moment that Jesus realized that the man was open to the possibility that there might be a different religious paradigm that might lead him to a deeper place. And so, Jesus invites him into that new paradigm when he tells him to sell what he has, give to the poor, and then come and follow Jesus. The man is clearly shocked by this invitation, and he goes away sad, for he is unprepared to receive it. Of course, the Gospels don’t tell us any more about this man. We cannot be sure what seeds Jesus’ invitation may have planted that day, and what that man might ultimately have done after he had time to consider Jesus’ invitation. Perhaps the man eventually was able to accept what Jesus offered him, and was able to step out of his traditional religious paradigm into something new. But just what was this new paradigm that Jesus was inviting the man into? I think that Jesus was inviting the man out of a religious life rooted in law into a life with God rooted in relationship. One of the fundamental criticisms Jesus made of the religion of his time was of the tendency to make the religious life one of following the rules, both ritual rules and moral rules, while forgetting the relationship with God to which those rules were meant to point. Too often, Jesus repeatedly pointed out, the rules were used not to call people into relationship but rather to make the most vulnerable members of society feel excluded and unworthy of relationship with the divine. It is why Jesus spent so much time with “unworthy” people, in order to teach them that they did have a relationship with God that was not dependent on rules of the larger community. St. Paul expanded on this idea, going so far as to say that law does not have the power to bring anyone into relationship with God. The law, Paul said, is very good at showing us how bad we are at following rules, and therefore, if our relationship with God is dependent on our following the rules, we are lost. Thankfully, Paul says, Christ comes to change the paradigm, to free us from a religion rooted in law and invite us into relationship that is conditioned by grace, love, mercy — and that therefore is accessible to us regardless of any law. The Christian churches have often lost sight of this fundamental insight. We have too often resorted to imposing rules on people, and then used those rules to define whether or not a person is good. We have sought to create ethical absolutes and then judged people by them. We have used rules to declare which people are in good standing with God and which are not. This is not the paradigm, or the community, that Jesus was inviting the rich man into. Jesus was all about relationship — for him, everything came down to that. Loving God, loving neighbor, loving self : this was the heart of everything for Jesus, and it would be hard to find a more profoundly relational term than “love”. To live in this new religious paradigm that Jesus represented means that our moral/ethical life flows not from obedience to an external code but rather by following the demands of love. Jesus knew that human transformation cannot be imposed from outside, but rather must arise from within. People can be loved into change, but can seldom be bullied into it. If we were truly to live into this paradigm, and ask ourselves in every situation, “What does love require of me in this moment?”, I wonder how our debates over so many things would change? I wonder how we as people would change? I wonder how our faith communities would change? In this season when we celebrate Resurrection, we are also celebrating God’s habit of overthrowing what we consider to be absolutes — like the absolute of death, which in the Risen Christ is shown to be no absolute at all. In the Risen Christ, God invites us to abandon our certitudes, our black and white ways of thinking and judging, and to enter deeply into the messiness of relationship, where absolutes often don’t apply, and where questions often don’t have easy answers. It is as hard for us as it was for the rich man in the story to give up his possessions. But, as Jesus himself says, with God, all things are possible.